Good things come in threes. And in late 2011, you’ll know full well that saying, and shout in joy, because everyone’s favorite treasure-seeking hero is readying for a new adventure with Uncharted 3: Drake’s Deception. 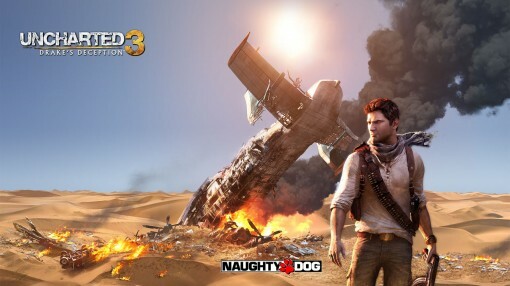 Days ago Entertainment Weekly interrupted their daily fascination with Glee and Dancing with the Stars to get the exclusive scoop about Uncharted 3: Drake’s Deception, the next game in the blockbuster PlayStation 3 exclusive action-adventure series. Following that breaking story there has been a media blitz of what will be in store for that wise-cracking protagonist Nathan Drake and his “I’m too old for this…” mentor Victor “Sully” Sullivan. And oh, I do hope they wear something light, because I’m guessing heat will surely be an issue. 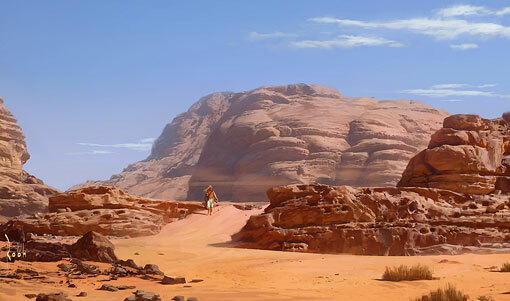 Uncharted 3: Drake’s Deception will both have Drake and Sully searching the Arabian Peninsula and the Rub’ al Khali Desert for a legendary lost city, the Iram of the Pillars. Plus for that extra bit of Middle Eastern seasoning, the central plot is lifted from the archeologist days of a young Lawrence of Arabia. Now partly one of the main draws to the Uncharted series is the realistic environments which truly captures an authentic cinematic flare. It’s the reason why any non-gaming interested person, who’s over at your house, pulls up a chair to watch you play any Uncharted game. 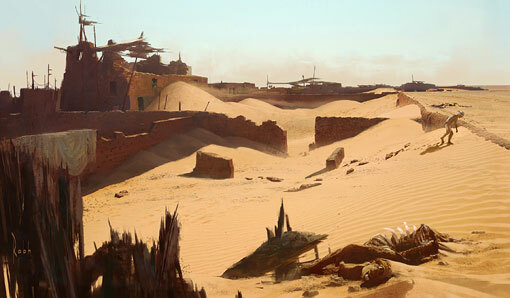 That’s where the purpose of the new desert local for Uncharted 3 serves – well two fold actually. One is looking beautiful, and the other is presenting a technical and creative challenge to the Naughty Dog development team. Natural elements like water, fire, and of course sand, are described as being super hard to make convincing using computer rendering. It’s the kind of courage that I wouldn’t expect less from Naughty Dog, and have no great doubts about them not achieving if these screen shots are anything to go on. Naughty Dog is also promising some interesting tweaks to the Uncharted 3 game play – such as the ability to fight several enemies at once, and enhanced backwards climbing. And what will make a lot of gamers flip, improved multiplayer and co-op features. Wait?! They can get better than they already are?! November 1, 2011 is the date set for Uncharted 3: Drake’s Deception, a year to get ready if you haven’t played the awesome that is Uncharted: 2. And if you have, then you might as well play this trailer over-and-over again, because it will probably be a while until we get any more juicy info.